Images courtesy of ETA Agency. Local advertising and marketing firm, ETA Agency, earned a prestigious ADDY Award for their innovative campaign, EZ-P the Parking G.
Competing against work produced for Kia Motors, Disney, Farmers Insurance and more from top agencies in the Los Angeles area, ETA Agency was honored for their hard work and innovation promoting the City of Long Beach’s free real-time mobile parking app within the Integrated Media Public Service Campaign category of the American Advertising Awards Los Angeles Competition. Thirty percent of urban congestion across the nation is caused by motorists searching for a place to park their vehicle, according to the release. The Long Beach Public Works Department created EZparkLB to curb Long Beach’s parking struggle. 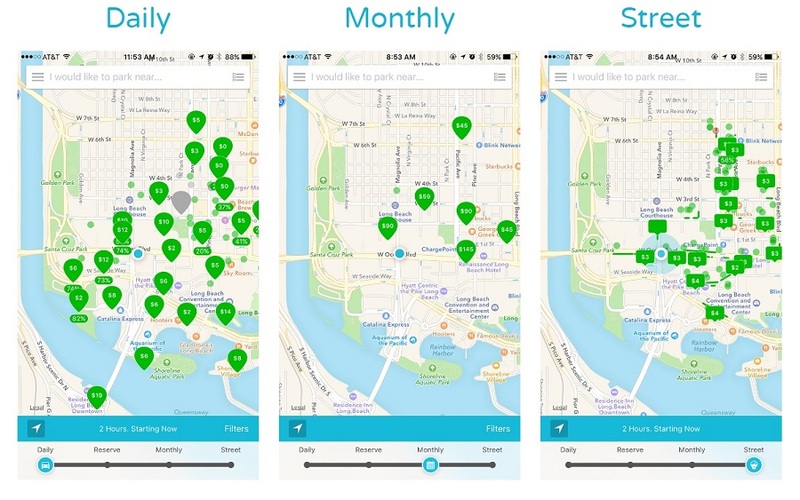 Through the free app users can see in real-time where available parking spots are located throughout the city. Developed to give the app a face and personality, the 3D-animated street-smart urbanite “was born and raised in Long Beach, and knows everything there is to know about city parking,” according to ETA. He’s always ready and willing to share his wisdom, and rarely without attitude. The campaign kicked off with a parking spree during lunchtime, where free parking was offered to motorists in high-traffic areas. “Guerilla-like” branding in the form of inconspicuous parking meter covers drew attention to the yet-to-be-identified EZ-P, according to the release. ETA Agency’s unorthodox marketing tactics created a buzz surrounding the new character, culminating with EZ-P’s big reveal on social media during the inaugural Music Tastes Good. EZparkLB garnered downloads that exceeded the first-year average for government apps by more than 60 percent in the first 60 days, according to the release. 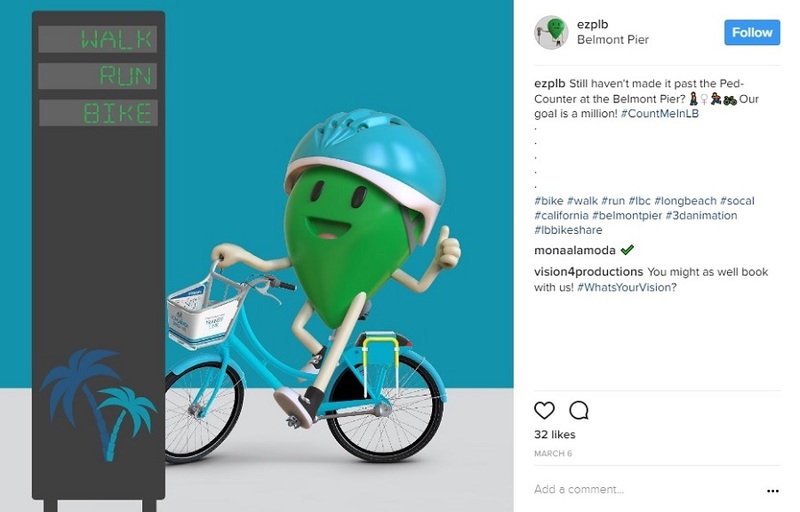 The campaign was so successful in generating awareness for the app, that EZ-P the Parking G has been adopted as the face of mobility for Public Works’ entities, including EZcommuteLB and Long Beach Bike Share. The campaign found its greatest success through social media, namely Instagram and Twitter, where EZ-P’s character comes to life as an informed local resident out and about and attending events like ComplexCon. Out-of-home media advertising was also implemented to effectively reach a broad audience and capture the attention of drivers during their search for parking. ETA Agency’s lifestyle-brand approach, combined with the agency’s deep understanding of Long Beach life and culture ultimately propelled the awareness campaign toward success. To learn more about EZparkLB and EZ-P the Parking G, follow him on Instagram @ezplb or Twitter. You can download the parking app here. For more information about ETA Agency, whose varying clients include Long Beach City, Port of Long Beach, Newport Beach Police Department, City of Redlands, Pasadena Fire Department, NBC Universal, D.R. Horton, Les Schwab Tires and Ensemble Real Estate Solutions and Investments, visit the website here. Disclaimer: Cindy Allen, publisher of the Long Beach Post, is owner of ETA Agency.